Happy 2019! I am so excited to share some of my favorite makeup trends that you’ll be seeing a lot of this year. Before we dive in, I encourage you to keep an open mind and know that trends aren’t for everyone. I’m a huge proponent to taking something mainstream and making it your own, so as you read through these trends think about fun ways to incorporate them that are authentic to who YOU are. This year you will notice the common theme of pops of color, some fun with glitter and neutral tones on the eyes. So let's do this! But first, follow me on Facebook for my live tutorials and product reviews. For me, nothing turns my day around or puts me into state quite like a power lip! One of my ultimate favs to rock is Nevermore from Elixery. If you’re new to a bold lip and feel intimidated… try sheering out the color with some clear gloss to make it a bit more translucent and less of a pow when you’re getting a feel for what works for you with this look. Another tip … when rocking a power lip the intention is that our lips are the statement piece, honor that by making the rest of your makeup more subdued. Bring out your inner boss babe in 2019! Pantone Color of the Year: Living Coral. When this year’s Pantone color of the year was announced I was really excited as coral is a great way to give yourself a fresh pick me up! I’ve found the easiest way to do this is to pop some coral onto the lips and cheeks. My favorite product is Ingenue lipstick from Elixery Cosmetics in Minneapolis. It’s the perfect coral shade for most skin tones and bonus…it doubles as a cheek stain! Who doesn’t love that? If your’e feeling a little extra, find your favorite coral shadow and pop some on your lids too! Tip: if you’re new to using a lipstick as a cheek stain start by putting a little on your finger tips and patting it onto the apples of your cheeks. Then blend blend blend. A little goes a long way. I know what you’re thinking…”glitter? really?”. Yes, really! Glitter is a super fun way to add a little pop of glam to your look. It can get out of hand so that’s why I recommend practicing in a controlled environment preferably away from fans and small children…haha I’m kidding. 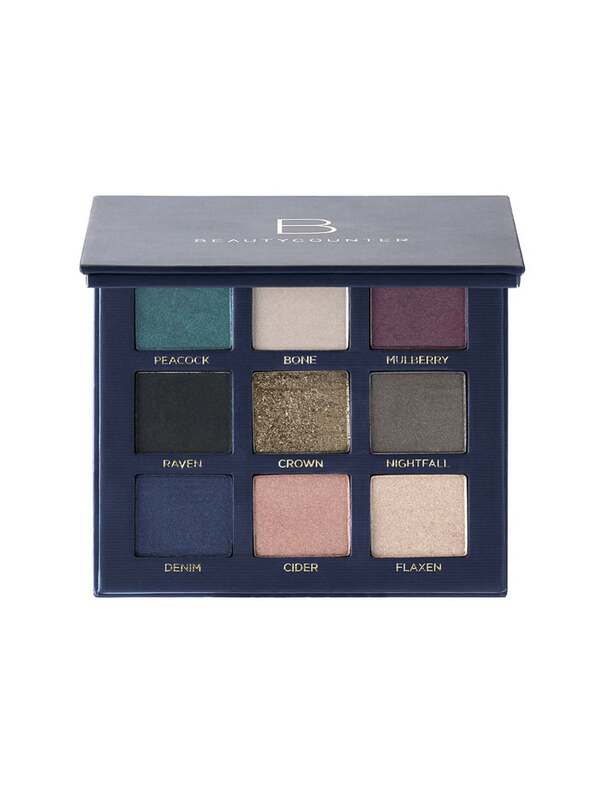 But really, glitter can get crazy so I do recommend the Statement Palette from Beauty Counter. This is an awesome palette that has a mixture of matte and shimmer shadows, but it also has an awesome glitter shadow that is pretty much fool proof. Tip: Sweep a little of Beauty Counter’s Crown on your lids alone for a fun glitter look that’s appropriate for the office or anywhere you plan to be! You’ll be seeing a lot of neutral tones on the eyes in 2019. My favorite is this new take on an oldie but goodie, the smokey eye. Typically a smokey eye includes tones of greys, charcoals and black, but this year we are seeing taupe as the the smokey element to this look. I personally feel this makes a smokey eye look way more versatile because neutral taupe tones are a lot softer and can be worn at work but also works for night on the town. You can keep the smoke nice and light or deepen it for a more dramatic effect as well. To perfect this look I love the Classic Palette from Beauty Counter. Want to learn these looks on your own? Book an in-home makeup lesson with a WarPaint International artisan, we also do personal makeup shopping! Happy New Year!